What’s Up with the Phoenix Real Estate market? Can You Afford to Wait with Interest Rates on the Rise? Buy a Fixer Upper or Move-in Ready Home? What IS the Home Buying Process? Need a Home for YOUR Toys? What’s the Home Selling Process? 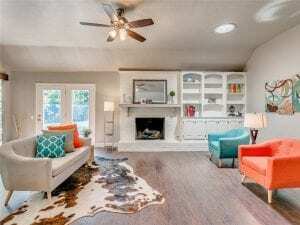 Staging Your Home Helps it Sell Faster and for More Money! Contrary to popular belief, just cleaning up your home yourself will not go very far is getting it sold for the maximum price quickly. Most homeowners are VERY attached to their furnishings. After all, they picked them out whether it was last year or 20 years ago. However, buyers are likely to not have the same tastes and furnishings can actually significantly reduce the amount of money you get for your home. Less is more in this case, so rent a storage unit and work with your Realtor to pick out which pieces stay and which get stored. Staged homes sell for more money. A staged home is one that has the expert eye of an Accredited Staging Professional (ASP – look for that acronym when searching for a staging professional). This person KNOWS how to make your home look its best. So if I told you that, if you spent $500-$1500 to stage your home (yes, it’s possible many of your furnishings will go to storage), you could potentially get $5000 to $10,000 or MORE for your home and sell it faster, would you do it? Yes, I would, too. Think of staging as a way to accelerate your moving process by incentivizing you to pack up your stuff and store it so that when your house sells in a few weeks, you’ll be mostly done with packing! Empty homes generally take longer to sell. Why is this? Generally, without getting some feel for what a room can be used for or what it looks like furnished, it’s just harder to fall in love with a house. That means fewer and potentially, lower priced, offers. Not what you’re looking for, right? Staging goes all the way down to the kitchen and bathroom towels that are out. Hint: Buy new tasteful fluffy neutral colored towels that make the buyer want to include them in the purchase agreement. It’s all about getting the buyer to fall in love with your house so allow professionals to help you get your home in TOP selling condition. Warning: You have to leave your emotions at the door on this one. Staging professionals say that they end up with the difficult job of telling the homeowner that the Realtor is right, your furnishings needs to go (goodbye brown draperies and brown corduroy recliners!). Your furniture needs to bring in the latest stylish looks to get you the money you want as quickly as possible. Let us know if you have questions on this article. We can connect with you Professional Stagers and other resources. Everything went according to how it was supposed to go! Was great! Overall EXCELLENT!! Easiest home purchase to date for us. Tom was always available whenever we had questions, if he didn't know, he would find out the answer and then get back to us as quickly as possible. Hal was awesome.. Great job in finding properties and exceeding expectations. Copyright © 2019 Phoenix Area Homes For Sale. All Rights Reserved.